Examining my files, I weeded out articles for adults, pieces for preschoolers and reviews. I came up with 11 suitable pieces, reprint rights intact. I sent her a piece of readers’ theater, a biography, an article on equine genetics and an equine breed history. She took them all and asked to see the rest. 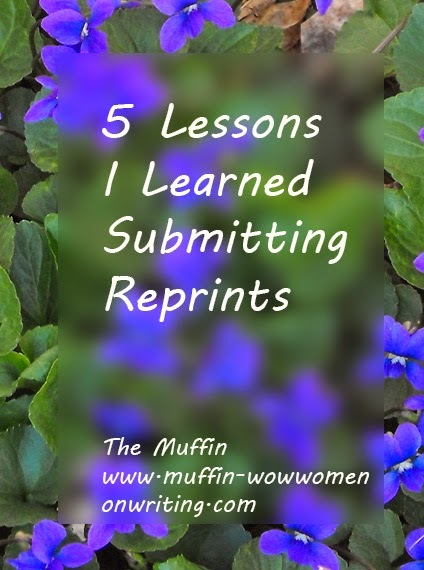 Sending these reprints out taught me five important lessons. Send them out. If you have sold first rights or one time rights, send your work back out. It probably took me about 15 minutes per article including interruptions to scan pages and create a single PDF. A reprint is less work than a new article and I will make more on several of the reprints than I made on the originals. Update the people. The bio was written while my subject was still alive. Since the first printing, she had died so I had to rewrite the last several paragraphs. If you mention where someone works or lives, make sure they are still there. Don’t make assumptions. Verify statistics. If your numbers represent the current population or price or whatever, double check your information. It may have changed. In the original breed profile, I gave the global population of Caspians as 450. That number had more than tripled. Google your topic. Don’t just make sure the sources you used are unchanged. I did this but should have googled equine genetics. After I emailed my editor the “current” article, I saw a poster on Pinterest. What are the chances of finding a Pinterest post on horses and genetics? The primary gene was different than the one in my article. When I googled “equine genetics color,” recent sources listed the same gene as the one on the poster. Yes, some sources listed the gene in my article but it is no longer believed to be the main gene. What to do? Come clean. If you catch a mistake, e-mail your editor. I outlined the problem. Yes, the sources I used were still out there and I could find additional material to support the original article, but it wasn’t the current way of thinking. I explained that while the article wasn’t inaccurate, I’d be more comfortable going with the topic as presented by the UC-Davis College of Veterinary Medicine. It’s embarrassing to admit to your editor that you goofed, but it’s a lot more embarrassing to have a young reader, or worse yet a class, point it out. Writers are human and most editors realize this. Fortunately, they too are human. Reprints are a great way to get more work out there, but learn from my experience. Do some general google searches to make sure that a new school of thought hasn’t displaced your original approach. Great advice, Sue. In today's world, it is amazing how quickly information can become outdated. Thank you for sharing your experience with us! Once we've sold the rights, I thought it no longer belongs to us. How can one send it out? It all depends which rights you've sold. If you've done a piece as work-for-hire, ghost written or an all rights sale, you can't sell reprints. If you sold one time rights, first rights, or rights have reverted to you, you can. Is there anything I've missed in the rights list above?